Once you’ve made it through duty-free with (most of) your cash intact, head to Windmill & Co for a pre-flight feed that’ll ship you straight to Santorini! So often the transit part of a holiday is stressful, uncomfortable and downright displeasing, so the good folk at Brisbane Airport are trying to elevate their dining options to well above 35,000 feet! 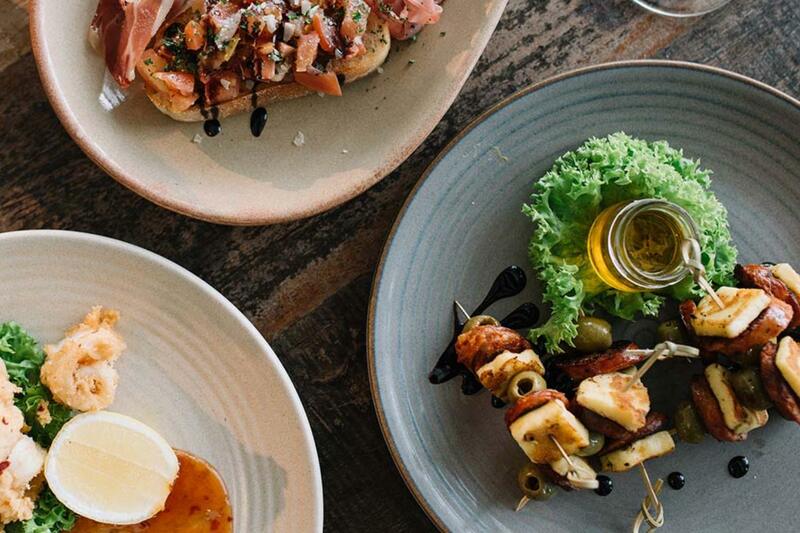 With its prime position overlooking the runway at Brisbane International Terminal, Windmill & Co is the airport eatery of our dreams: fresh, local produce, a considered and diverse menu, and a stylish and modern setting (there’s even table service!). Windmill & Co’s consultant chef, David Tsirekas (you might have tasted his work at Nostimo at The Greek Club! ), has embraced the precinct’s focus on the paddock to gate (I mean, plate) philosophy, with as much as 85% of the produce served at the venue coming from Queensland! While the menu is as diverse as the travellers passing through, Tsirekas and venue owner George Drivas are looking to add a distinctly Mediterranean flavour to their upcoming seasonal menu. While you can grab a burger or pizza before your flight (we love you, budget airlines, but ya leave us hungry), high fliers can nose dive into morsels like zucchini fritters with bush tomato chutney and Greek yoghurt before that 6am flight, or fuel up with a mezze platter loaded with calamari, halloumi, dolmades, hummus, and eggplant dip. If you’re like us, you make it to the airport and through security with hours to spare… Devouring a Greek feast (and knocking back a drink or two to fight the pre-flight nerves) seems like a fine way to pass the time to us!